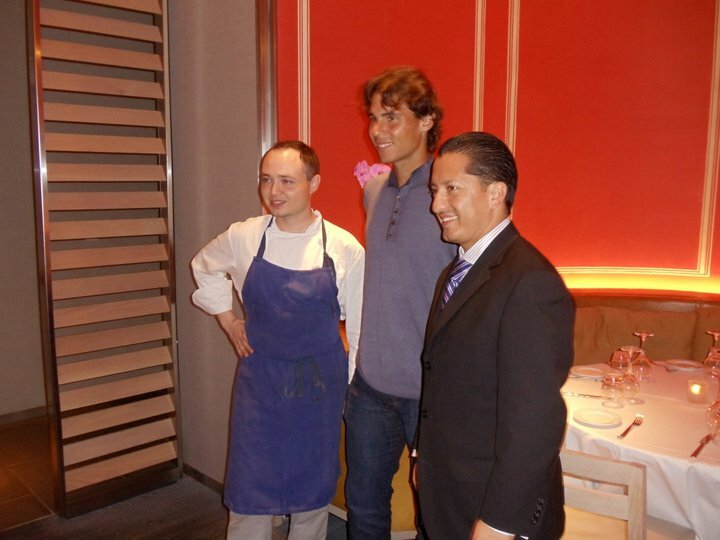 Rafa updates his facebook with a photo of him at DB Bistro in Miami & he's practicing at 4pm today so don't miss it guys! Anoche fui a cenar al DB Bistro en el Hotel JW BEaux Arts en Miami. Nos trataron muy bien y conocimos al chef al finalizar la cena. We went last night to the DB Bistro at the JW MBeaux Arts hotel in Miami Downtown. They treated us very well and the food was great. Hola a todos. Ayer muy buen partido y muy contento. El dia fue largo por la lluvia Hoy dia de relax y entrenamiento por la tarde a las 4. Hi all. Great match last night and very happy. It was a long day because of the rain. Today a relaxed day and practice this afternoon at 4pm. Sony Ericsson Open. Court ?